Home / Savings Blog Posts / Recipes / Appetizer Recipes / Buffalo Chicken Dip Crockpot Recipe! 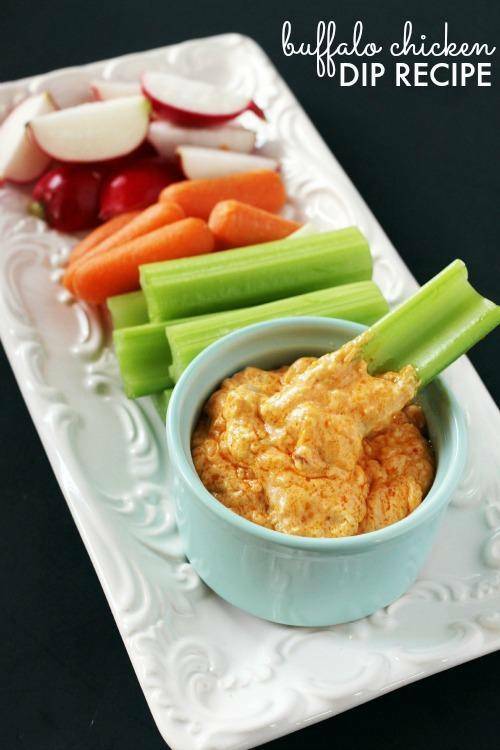 Check out this Buffalo Chicken Dip Crockpot Recipe! If you are looking for a new Dip Recipe, this Buffalo Chicken Dip Crockpot Recipe is perfect to try with your friends and family! We are a dip family – we love dips of any and every kind! We used to call my little girl our “dip baby” because she would dip anything in ranch or cheese dip and eat it! There are many different kinds of dips that you can make, but be sure to try this crockpot recipe the next time you are having guests over for a football game or a fall party. 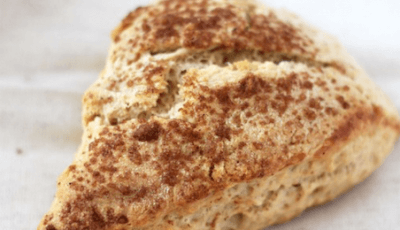 I hope you enjoy this recipe as much as we do! 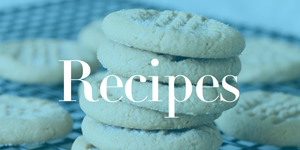 Plus, be sure to check out even more Appetizer Recipes! Place the buffalo chicken sauce and chicken breasts in a small pan and heat over medium heat for 5-7 minutes, turning the chicken once while cooking. Remove from heat and meanwhile, assemble the cream cheese, dressing, and celery and place in your crockpot. Shred the cooled chicken and add it, along with the buffalo chicken sauce, to the crockpot. Heat on slow for 2 hours to ensure chicken finishes cooking. Stir in your cheese just before serving. Serve warm alongside chips or vegetables. 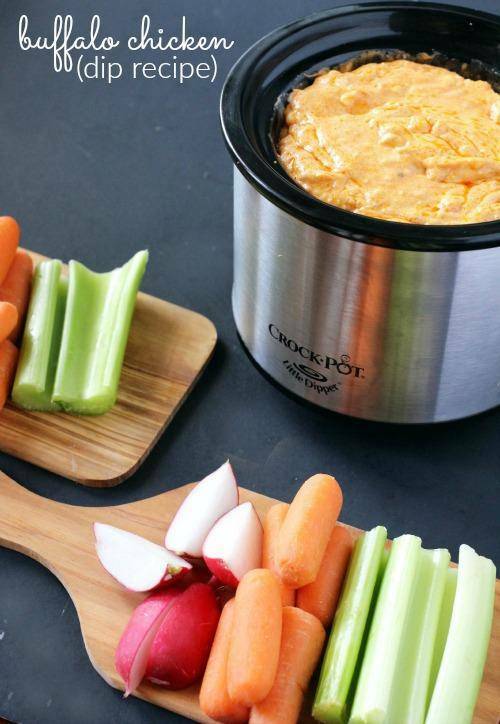 Pick up a Mini Crock Pot at Amazon that is perfect for serving party dips and easy desserts! These can come in handy when you want to keep something warm at a party or special occasion! Receive Free Shipping with Amazon Prime, or Free Super Saver Shipping on orders of $35 or more! Also be sure to check out this Grilled Cheese Dip Recipe that you can make on-the-grill! Are those apples you’re dipping with? What size mini crock-pot (in quarts) do you have? Nutella Brownies Recipe (Only 2 Ingredients)!